The Violet Flame Orgone Energy Balance Crystal Pyramid is an energy balancing tool that is intended to “transmute” energies to balanced and positive energy. This is a tool intended for an immediate area and to assist in practical work such as meditation practice. This beautiful pyramid is created with a selenite wand at the tip that floats over a bed of “illuminating” mica to radiate charged light into the immediate space. Alternating layers of iron, shungite, petalite, selenite and epidote hold a layer of amethyst and tigers eye above brass shavings. The powerful construction array below the selenite wand is the inspiration for the artisan Jamie to say that the Violet Flame Energy Balance Crystal Pyramid “inspires the Violet Flame to burn brightly within”. It is recommended to hold this pyramid in the palm of your hand during meditation. Keep it in your meditation space or keep near your bed for lucid dreaming. The Violet Flame Energy Balance Crystal Pyramid, when used in meditation, will aid in balancing your energies and it will help in transformations within your life. This beautiful Orgone Pyramid is made by Violet Flame Orgone in the Ojai Valley, California. For information about Jamie, her method and approach to handcrafting Orgone pyramids you can click on the product and link through to her information page, on the right hand-side of the product information page by clicking her picture. Selenite is a stone of mental clarity. This clarity enhances mental flexibility and enables strong decision-making ability. 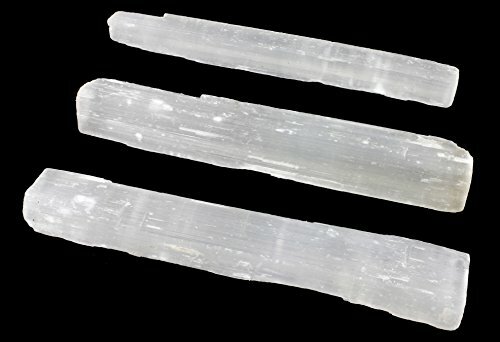 Selenite can be helpful in everyday life bringing full mental clarity into play in circumstances of confusion and mental disorientation. Selenite is primarily associated with the crown and third eye chakras and to a lesser extent with the sacral chakra. With thanks from Crystal Meanings and More. 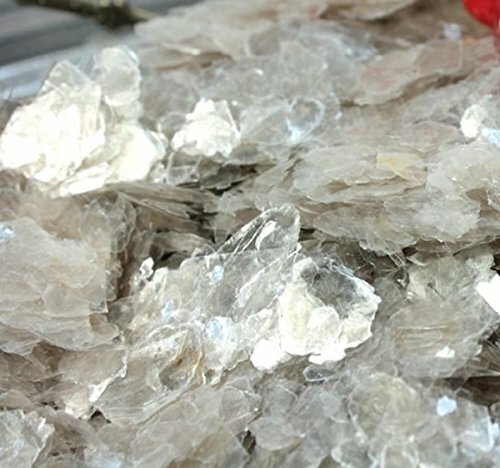 Mica that is whitish is associated with the crown chakra. Shungite has properties of electrical conduction. This is said to be the reason for one the most notable uses of Shungite: shielding and protection from EMF electromagnetic radiation from things like TVs, computers, microwaves, cell phones, and other electrical items. Shungite has been used traditionally for purification. This often takes the form of creating an elixir or purifying water for drinking or bathing the skin to bring about healing and energy. Springs near the source of Shungite have been used at least as far back as Czar Peter the Great for their healing properties. Shungite is an excellent stone for mystical work. Shungite is used for increasing the energy level in the auric energy field countering weak areas in the life energy field that could be exploited on subtle levels. This brings not only physical protection but also psychic protection. Shungite is said to calm and relax anyone using it or near it to its powerful protective energies and rejection of negative energy. Shungite is related to the root or base chakra. Petalite is also known as Petaline and ‘Stone of the Angels’. 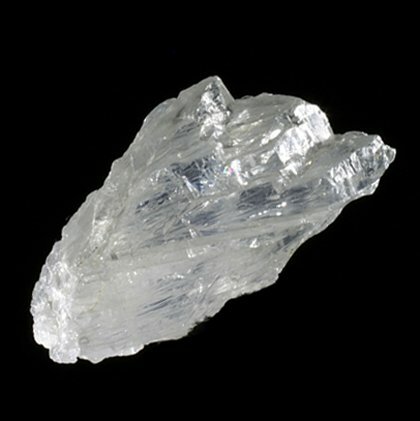 Petalite is said to encourage and promote connections to angels, spirit guides, and totem spirits. It is believed to help spiritual practices which involve lifting to a higher awareness to allow access to higher dimensions and as a useful aid in working to achieve out-of-body states. Shamans have favored this stone for protection during ceremonies involving moving into other states using ceremonial practices or traditional psychoactive plants. Petalite can ground and protect when leaving the body in meditative practices designed for that purpose such as the use of ‘Hemi-Sync’ recordings. Petalite is also believed to dissipate and break the hold of negative energy that is a result of actively directed evil such as that of black magic. Petalite is a stone that balances yin/yang opposites bringing feelings of peace and calm to the mind, body, and spirit. Petalite enhances intuitions, psychic abilities, and sensitivity to subtle energies. Petalite is related to the throat and crown chakras. Epidote has a tendency to increase anything it touches, whether the thing it touches is energy or a material object. Epidote will increase what ever focus you have as your primary thoughts and feelings. Epidote, as a stone of increase, can work as a double edged sword as it will increase the primary desires, thoughts, and emotions equally be they positive or negative, but epidote will influence spiritual growth and learning and will demand changes from negative patterns, which can be challenging and painful. Epidote is a stone that can enhance emotional and spiritual growth. It cleanses repressed emotions. It opens the way for those who have denied spiritual growth, and those drawn to epidote may be rocked forcefully into spiritual awakening. Epidote also balances and clears the effect of emotions in the body’s auric field. It stimulates perception, participation, and interaction as well as personal power. It also dispels critical and closed mindedness. Epidote is also said to promote patience and bring hope. Epidote balances and clears the effect of emotions in the body’s auric field. It stimulates perception, participation, and interaction as well as personal power. Epidote can also be a teaching stone as it dispels critical and closed mindedness. Epidote is also said to promote patience and bring hope. Epidote is primarily associated with the heart chakra. This information Quoted with thanks from Crystal Meanings and More. Labradorite (also called Spectrolite) is a considered by mystics to be a stone of transformation and magic. Labradorite can help to clear, balance and protect the auric field. Labradorite is an excellent stone for general protection. Labradorite can help provide clarity and insight into your destiny, as well as attract success. Labradorite is used in metaphysics for dream recall and helping to interpret the symbology dreams. Labradorite is associated with the solar plexus and third eye chakras. “Tanzanite is sometimes called a “stone of magic” that can help with spiritual awareness and metaphysical insight. It is also sometimes called the “workaholic’s stone” because Tanzanite can help you slow down and take it easy which can enhance success by bringing balance. Tanzanite is related primarily to the throat and third eye chakras. “Malachite is a stone of transformation. The transformation that Malachite can bring can be demonstrated on this plane as beginning to perfect balancing pure love, one’s own well-being, protection of ourselves and loved ones and our greater spiritual evolution. Malachite can seem to bring positive transformation as specific events many times. Malachite also assists in making transformational changes with a gentleness of the heart, easing the transition from one state to the other. Malachite is a stone of good fortune bringing prosperity/abundance. Prosperity coming about is a facet of transforming a physical or mental state of lack into abundance. Malachite can also be helpful in bringing productive and lucrative work or career improvements. Malachite can be a power stone in helping to bring great self-confidence and success. Malachite counterbalances a sense of victimization enabling self-confidence to come to the surface. Malachite is a protective stone. Malachite can help protect against evil and is a protective stone for children. Malachite is also an excellent protection stone during flying and travel. As a stone of transformation, malachite helps with spiritual development. Intentional use of Malachite in spiritual practices such as Meditation can help to bring about powerful spiritual growth which can release energy blocks, and mental and emotional patterns being untangled with the lessons of spiritual growth. As a part of spiritual growth, malachite can ease the transformation of life through the dying process, helping to ease fear. Malachite is an excellent aid to concentration and thinking, making it beneficial for students and professionals to keep in their work spaces. Malachite can enhance the ability to multitask by helping concentrate on each task serially without loss of information with the others or confusion. Malachite can counteract self-destructive romantic tendencies and help encourage true and higher love. Malachite is generally good for enhancing emotional stability and balance and can bring inner peace and hope. Malachite’s primary energy is generally associated with the heart chakra. “Brass in spiritual and metaphysical traditions is the metal that brings out natural good and inner truth. Even the phrase ‘getting down to brass tacks’ tells of clearing away the old debris and getting down to the pure and natural truth. “Carborundum is a man made crystal also known as Silicon Carbide. In 1891, Edward Goodrich Acheson discovered Carborundum in an attempt to create diamond using electricity. Carborundum is composed of carbon and silicon atoms with strong bonds in a crystal lattice formation producing a very strong and hard material, insoluble in water or any solvent. 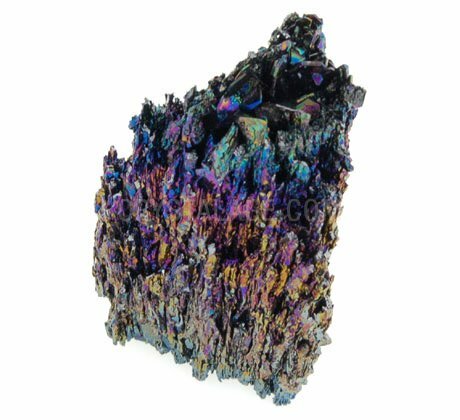 Carborundum is a very enchanting crystal, with black spiked crystals like a castle, gorgeous rainbow-like luster, iridescent colors of green, blues, purple, pink, yellow, etc. The brown to black color results from iron impurities. 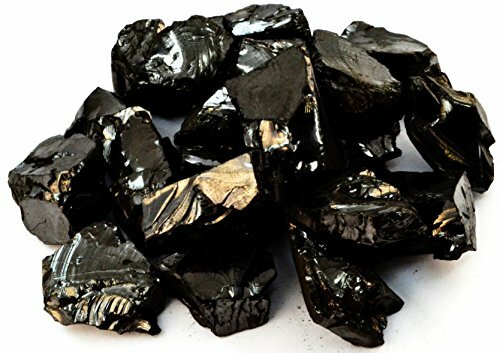 Carborundum is known to be a master healer and a type of semi conductor, that shines light in all areas. Pure Silicon Carbide is a poor electrical conductor and very rare on Earth but abundant in space and meteorites, a common form of stardust found around carbon-rich stars. The rainbow colors found in Carborundum are associated with the Seven Chakras. 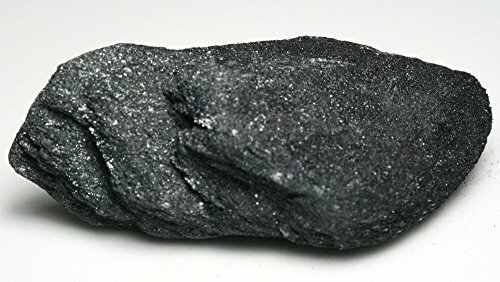 Carborundum energetically purifies the mind, body, and spirit while encouraging intuition and discernment. Carborundum, when produced, has a rainbow iridescence over its surface and it is said to relate to all chakras. This information Quoted with thanks from Raven Crystals. “Physical Iron promotes the absorption of iron through the intestine, the formation of hemoglobin and red blood corpuscles, ensuring transportation of oxygen to the cells of the muscles and organs, good energy transfer and physical vitality. It helps in case of weakness, tiredness, and exhaustion. The function of the liver, spleen, intestine and bone marrow are stimulated by Iron. It fortifies the immune system. Psychological/Emotional Iron has a stimulating, activating effect, encourages activity, initiative, dynamism, endurance, willpower, ability to assert ourselves, and the ability to be enthusiastic about something. Iron promotes the Warrior side of us, the urge to research, discover and conquer. It also promotes an upright attitude and honesty. Quote with thanks from Ancient-Symbols.com. Iron usually symbolizes power. In a dream, it can signify the part of ourselves that is capable of discipline – an iron will. However, before being tempered by fire (life’s challenges) and made into hard steel, iron requires protecting against corrosion. It is this quality of the development of protection against spiritual ‘corrosion’(eating away) that needs to be dealt with so we can progress. When we dream of using a clothes iron we are attempting to make ourselves more presentable to the outside world. We may also be trying to ‘smooth things over’. When the metal iron appears in dreams, it usually represents strength and determination. 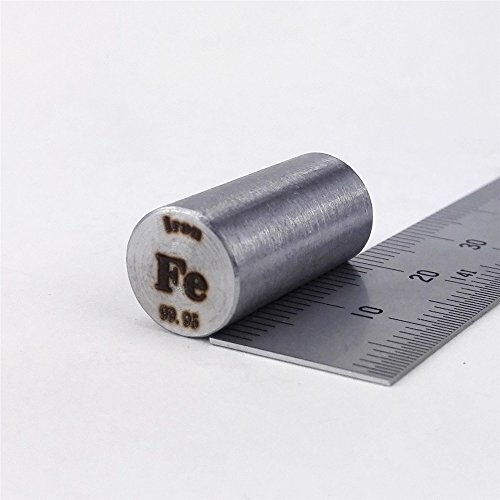 The mineral form of iron oxide is Hematite. Hematite is a stone that is most commonly — and most strongly — used to ground or stabilizes and for protection. In spiritual work, hematite is an excellent stone to help keep yourself also connected to the Earth plane, as some would say via the silver cord so that your spiritual learnings and travels can be done safely and things learned can be brought back to daily life more easily. Red Ochre is a variety of hematite used for permanent coloring, and particularly in ancient spiritual drawings, medicine pouches, and related spiritual uses. Hematite can be used at the corners of a room or property as a simple but protective spiritual crystal grid. 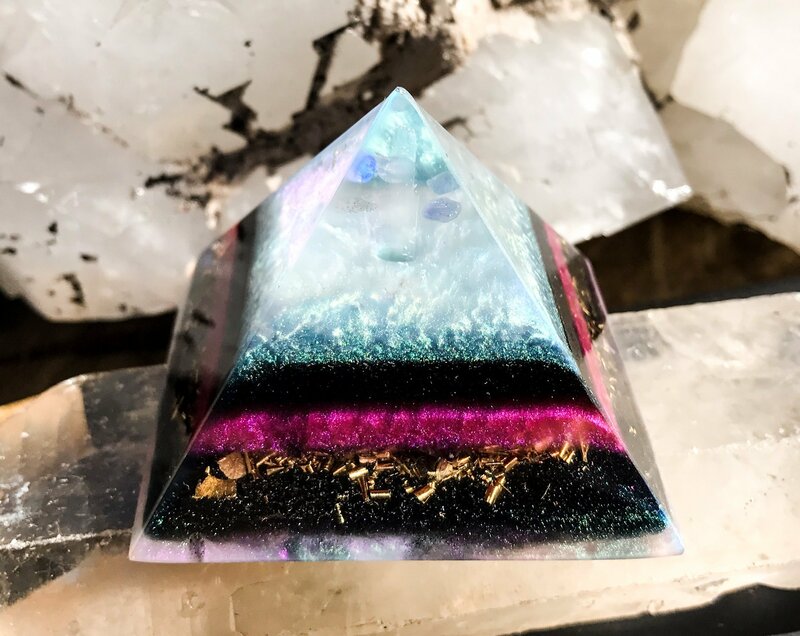 “Experience the power of the Violet Flame with this orgonite crystal pyramid intended to transmute imbalanced energies through the balancing power of light! A selenite wand floats over illuminating mica at this tip of this orgone generator pyramid to radiate white light throughout your space. Alternating layers of iron, shungite, petalite, selenite and epidote hold a layer of amethyst and tigers eye over bronze shavings. This powerful crystal blend in an orgonite pyramid inspires the Violet Flame to burn brightly within. I recommend holding this orgonite Crystal Pyramid in the palm of your hand during meditation when actively working with the energy of the Violet Flame, and keeping it on your altar throughout the day. Alternatively, you may choose to keep it by or under your bed for deep healing in your sleep or to connect to the Astral Realms. Ultimately, I suggest you follow your intuition for guidance on how to use this orgone pyramid to support transformation in your life. This orgonite pyramid is intended for conscious work on all realms. The Violet Flame Energy Balance Crystal Orgone Pyramid is 2.25 (57mm) inches at the base by 2 (50mm) inches in height. amethyst, brass, carborundrum, chakras, crystals, energy, epidote, iron, iron oxide, labradorite, malachite, mica, petalite, selenite, shungite, tanzanite. Bookmark.